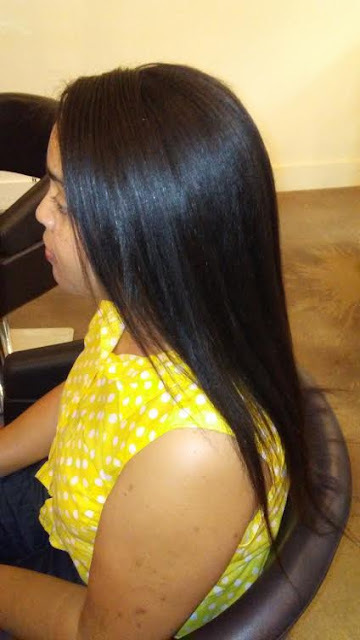 Now at the end of June and upcoming Fourth of July weekend, I am in serious need for a relaxer touch because I know how dense and unmanageable my new growth has become since my last relaxer at the beginning of March. 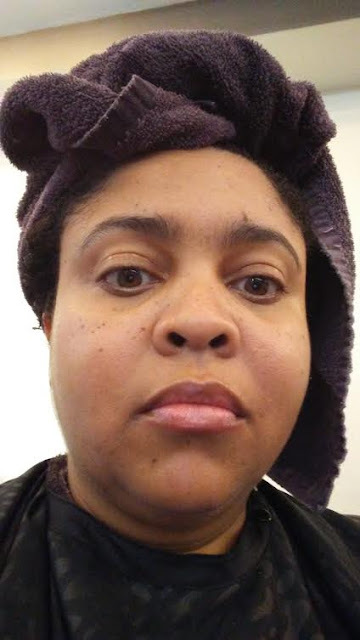 I have always come to this salon academy which they use Mizani Butter Blend Relaxer and Mizani and Loreal Professional salon products to style my hair for great results! The instructors and students are always courteous and professional in how they execute the salon experience from beginning to end! 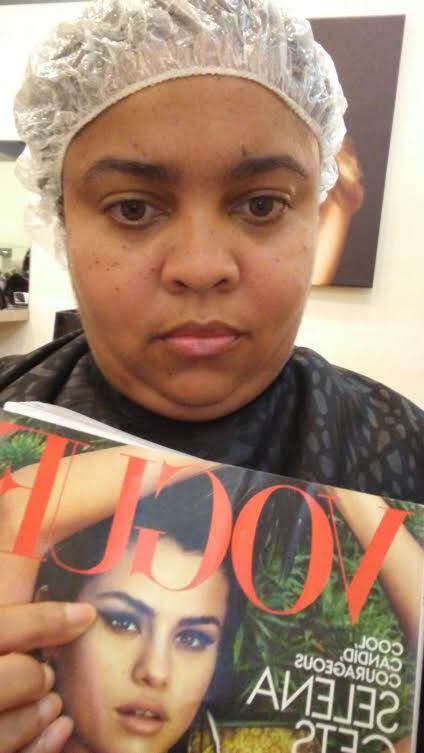 For the Mizani relaxer process, first they rinse, deep conditioned (hence the plastic cap and reading my Vogue), and finally shampoo my hair! 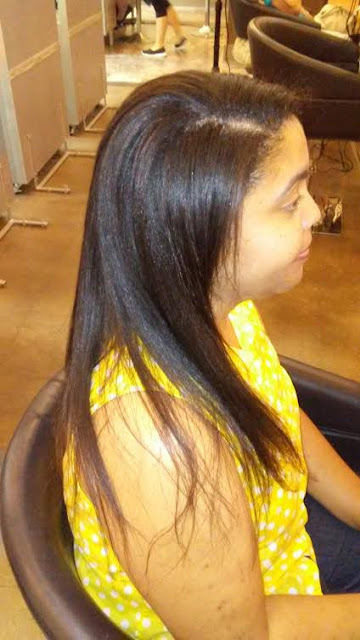 Its all about protecting and conditioning my hair through the chemical process! 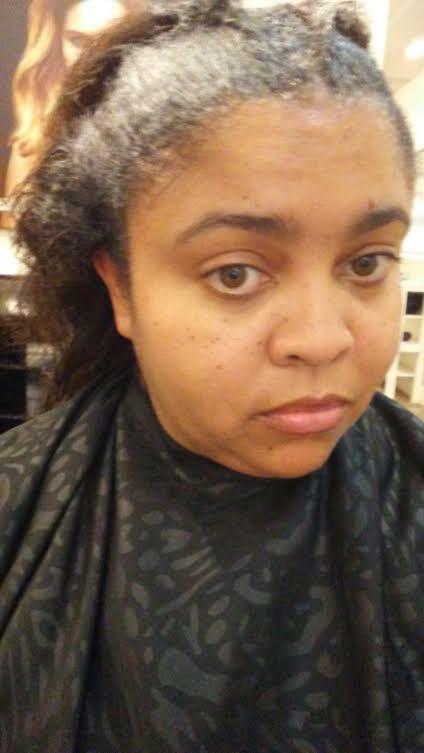 Afterwards, I sat in the stylist chair and awaited for my hair to dried and flatiron style to complete my newly relaxed hair! 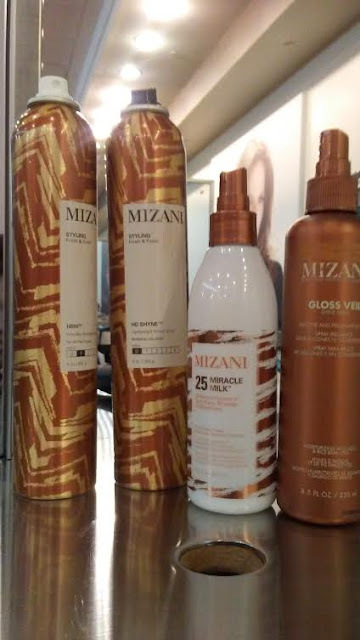 Several high quality products used to during the heat and style process for my hair including Mizani style and finishing products! 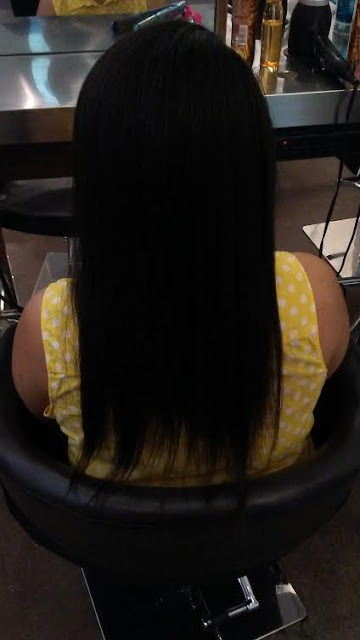 After drying and flat ironing my hair, my hair length is now upper back/arm pit/ breast length depending how you measuring it!! I will continue to grow my hair until its waist length which will be a personal hair and health goal for me! 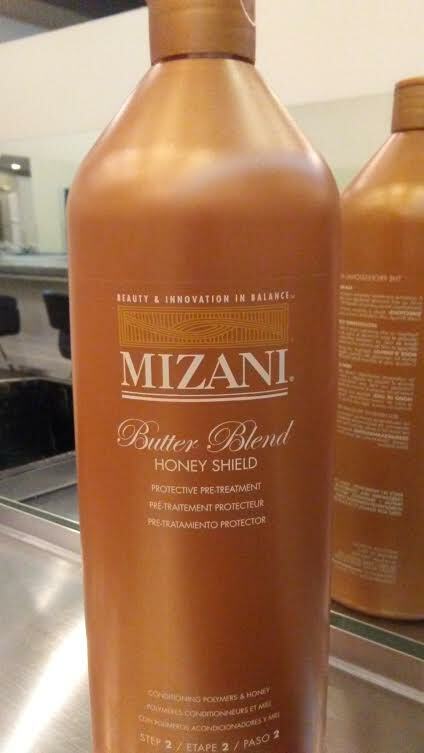 My next Mizani Butter Blend relaxer touch up will be at the beginning of September at Sylvain Melloul International Hair Academy! 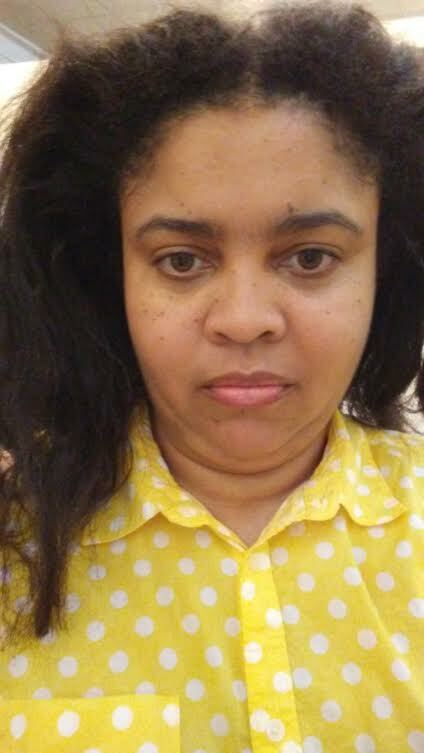 I am a huge fan of the way you use to review different books.I always look forward for some new reviews done by you.